Who doesn’t like dips? These are our five of our house favorites! Leek Chive & Onion Dip and Seasoning Mix – .75 oz – Our best seller and contest winner! Great in sour cream, soups, casseroles, quiches. Spinach Sensation Dip & Seasoning Mix – .5 oz. – add to sour cream and it’s great as a veggie dip, chip dip, or topping a baked potato! Add to tomato soup to make it Florentine. Add to rice while simmering for flavor. Tuscan Herb Dip Blend – .30 oz. 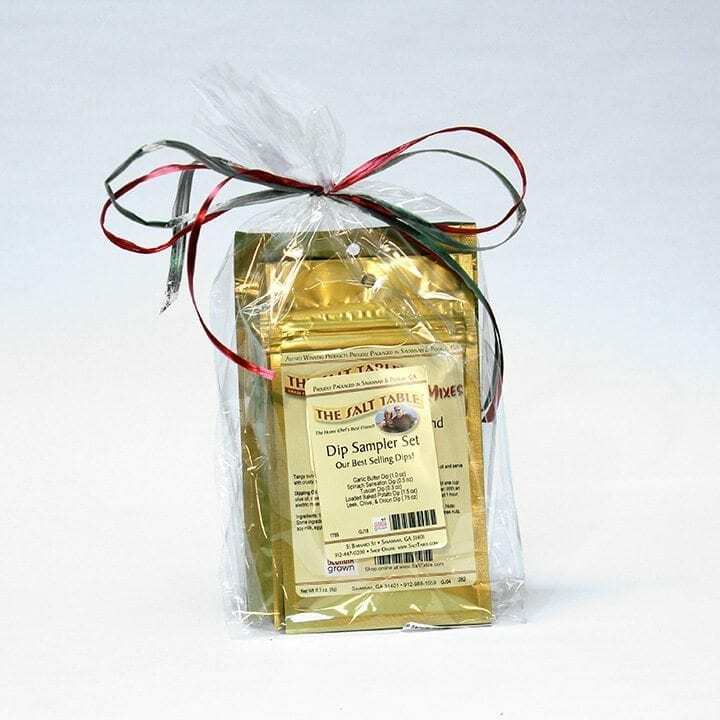 – this has flavorful spices, sun dried tomatoes, pepper and herbs including thyme in it. Add to olive oil and toss some pasta or dip some bread. Add to butter for herbed butter. Garlic Butter Dip and Seasoning Mix – 1 oz. – This is one of the most popular of the olive oil based dip and seasoning mixes, and there is good reason why it is one of our best sellers! Excellent for bread dipping or making hot buttery garlic toast. It can even be used as a seasoning for meats, veggies, or pasta (coat with olive oil and toss). Great in sour cream for a chip and veggie dip.Here’s a couple ideas – try it on popcorn, or with some pasta and veggies. Fast and delicious!! Loaded Baked Potato Dip Mix – 1.5 oz.. – It’s hard to believe this flavor. So spot on! And one of our very best selling products.Mix with cream cheese for a fantastic potato chip dip or even a baked potato topper! Mix into mashed potatoes for extra flavor, or even sprinkle over fries before cooking them! YUM!